Oamaru’s Victorian Precinct is full of wonderful surprises. Every time I visit I discover another. 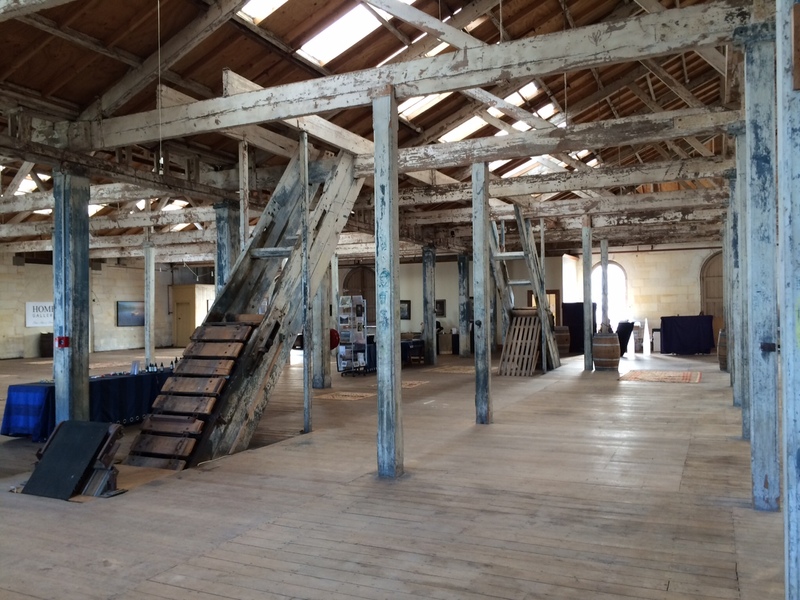 My most recent and, to date, my most wonderful find was Home Gallery Fine Arts and Living on the top floor of a former grain store, overlooking the old harbour. I have some beautiful memories of Art Galleries. They’re memories not just of treasures but of amazing spaces and extra-ordinary vistas. I remember the Tate Modern as much for the view of the Thames, the millennium bridge that spans it, and the dome of Old St Paul’s against the sky behind it, as I do for Jackson Pollock’s Blue Poles. I remember the azure sea framed in the deep, white stone windows of the Picasso museum at Antibes as well as the great works it houses. 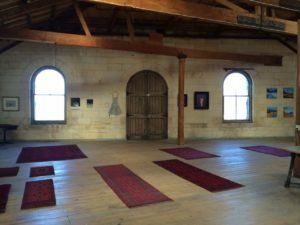 Like the Picasso Museum in Antibes, Oamaru’s Home Gallery is a memorable space. Just like the Picasso House, it’s not a purpose-built space, but a space that has been re-purposed. Just as Picasso’s sea-side villa became a showcase for the master’s works, so this old grain store has become a showcase for New Zealand artists. In the Picasso Museum works of art are scattered through living rooms and courtyards. 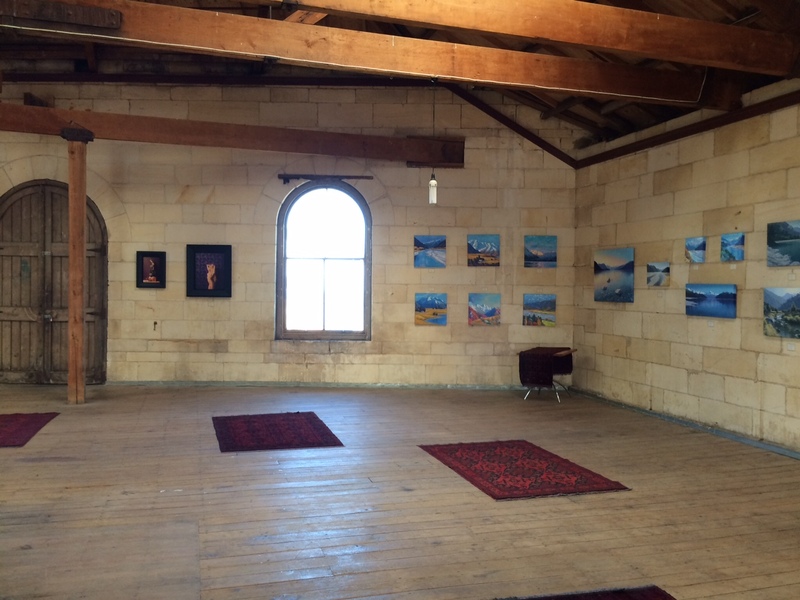 In Home Gallery paintings hang on the limestone walls where once sacks of grain leaned. A display of Persian rugs lies scattered across a work-worn wooden floor. 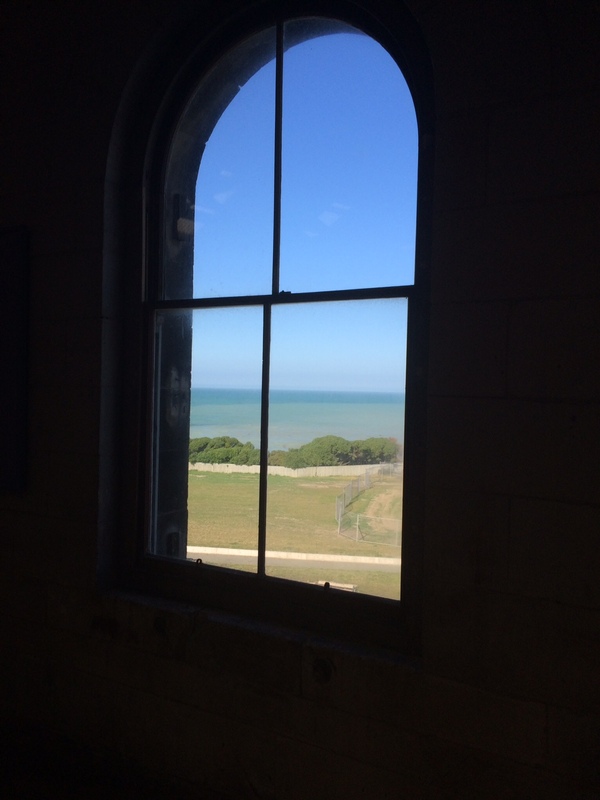 Like the Picasso Museum, Home Gallery has spectacular windows with unforgettable views. They’re tall, broad and arched at the top like church windows and set in aged limestone walls. They look out across the Pacific Ocean , Te Moana Nui a Kiwa, with its warm, turquoise light. Home Gallery is clearly still an old grain store. Light streams in from skylights and through the cracks in the double loading doors at the far end of the room. The ceiling is crisscrossed with heavy beams. The old conveyer that once hauled heavy sacks through the building sits still in the centre of the room. There’s a lingering smell of wheat and hessian. It isn’t hard to picture people at work here – the thud of grain-sacks and the creak of pulleys. It must have taken imagination and vision to see it as showcase for art – imagination, vision and a great deal of hard work. Home Gallery of fine arts was established by artist/ photographer Lucy Gardner in the aftermath of the Christchurch earthquakes. The devastation of the city had left artists without spaces to show their works and the local community without places to engage with art. Home Gallery was a new beginning ‘inspired and driven to help create places to deliver art for local community to engage with and provide audiences for investing in artists’ work’. This inspiration and drive no doubt sustained Lucy Gardner, through the mammoth task of transforming the old grain store into a gallery. 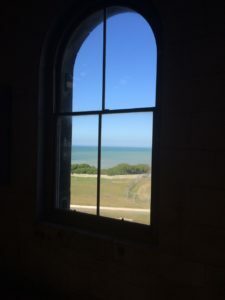 For weeks, she says, she spent all day, every day, scrubbing the beams and freeing the skylights of dust and cobwebs, cleaning the windows and walls of dirt and grime and sweeping debris from the floor. Now Home Gallery is a clean, light, quiet and restful place – a perfect backdrop for some beautiful works of art. They include pieces by significant New Zealand artists, from Beatrix Dobie to Charles Worsley as well as photographs by Lucy Gardner herself. Standouts for me were; Blair Grieg’s moody, misty oils which capture Aotearoa’s unique landscapes and singular light; Brian Strong’s Profiles of the West and The Summer Front with their glimpses of bush, waterfalls, tranquil bays and brooding skies; Lisa Wisse’s clair/obsur A Timeless Land where the light traces a path across the sea between dark hills and islands to the sky; and Lucy Gardner’s band and club life photos. I have just finished reading Ariana Huffington’s Thrive. Among the “pillars” she sees as essential to thriving is a sense of wonder – the kind of feeling inspired by works of art, views and nature. Home Gallery offers many wonders – the windows in those limestone walls, framing the Pacific ocean; the old grain-store – a piece of Oamaru’s past; and most of all, those wonderful works of art with their insights into Aotearoa New Zealand and the way we see it.